It must have been important to those packed into the meeting. They missed the Lakers’ opening championship-round game to be there. Producer John Raatz, who formed the organization, said the time is ripe in the entertainment industry for an “up-leveling of consciousness” that, in turn, would lead to more work delving into the spiritual and divine. Many attending the session and pledging to join in future work follow the teachings of Tolle, the best-selling author of “The Power of Now” and other books. 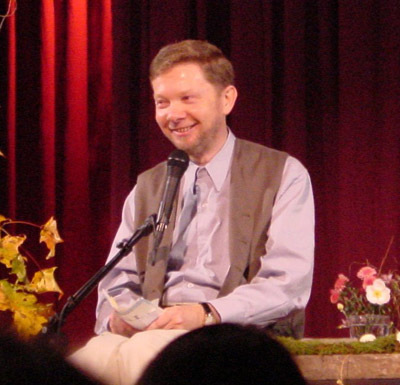 The German-born Tolle echoes the Buddhist view that most of humanity is captive to the mind and obsessive thinking, patterns that can be broken through meditation and other techniques. The actor said he had become locked in his own thoughts in part because of a childhood spent trying to entertain his terribly ill mother. Later in life he had the epiphany that most suffering came from fixating on one’s own thoughts, while “heaven” could be found all around, by living in the present moment. Tolle’s remarks closed the evening. While he encouraged GATE to do more, the teacher said he had already found transcendent moments — ones that could help people “get out of the box of their minds” — in a fair number of films. 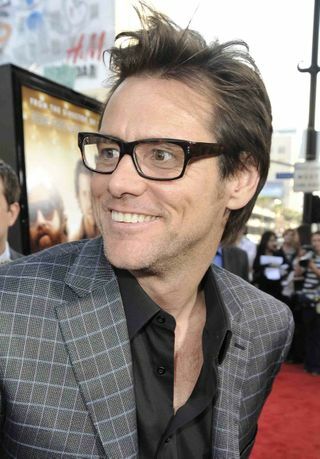 He cited “Groundhog Day,” “Titanic,” “The Horse Whisperer” and “American Beauty” as movies that incorporated important spiritual themes such as impermanence, stillness and the beauty of everyday things. Yes, Tolle said, film can raise consciousness, if only for a moment. This entry was posted on 07/06/2009 at 09:22 and is filed under Books, Holistic Living, Inspirational People, Leadership, Spiritual, Sustainable Living/Communities. You can follow any responses to this entry through the RSS 2.0 feed. You can leave a response, or trackback from your own site.